A comparative study of the morphology of gold particles within fluvial conglomerates of the Archaean Witwatersrand and the Palaeoproterozoic Roraima Supergroups revealed the presence of two gold generations: an older with variable degree of rounding and evidence of mechanical abrasion, and a younger one typified by well crystallised, euhedral overgrowths. This is in spite of a contrasting chemical milieu during post-depositional alteration and indicates mobilisation of detrital gold on a microscopic scale. 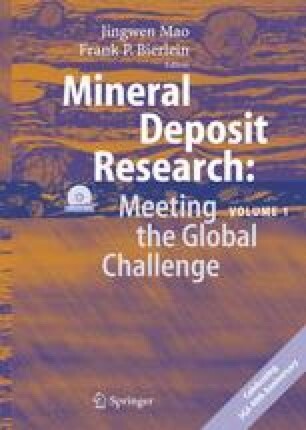 Unusually high Os concentrations, typical of Witwatersrand gold, were found in both well rounded and secondary gold particles, which is best explained by very short-range gold mobilisation during post-depositional alteration, thus supporting a modified palaeoplacer model for the Witwatersrand deposits.